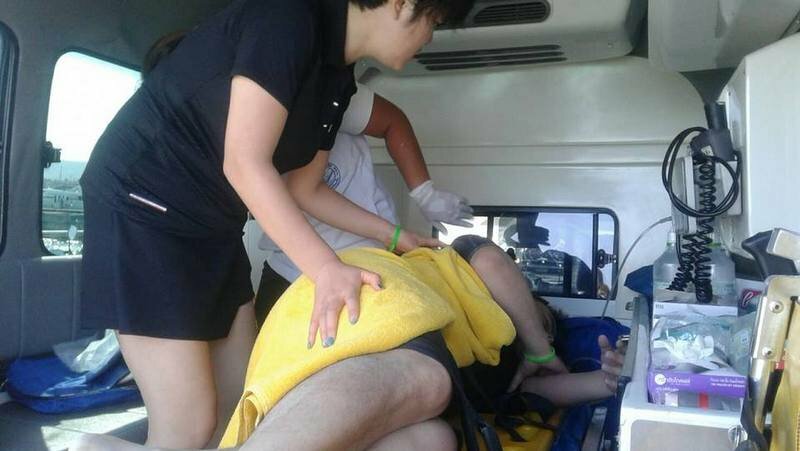 PHUKET:-- Police have launched an investigation into a Chinese tourist suffering decompression sickness after an incident during a “try dive” tour at Koh Racha Yai on Wednesday (Feb 13). The probe comes at the request of the Chinese consulate in Phuket. The tourist, Li Chunjun, 36, was rushed back by speedboat back to Chalong Pier, where EMS workers were waiting for him. To make such comments you clearly know nothing about diving. I am a certified diver, certified to 120 feet, and I can tell you anyone certified to be a divemaster or instructor would never have let this happen.but if this article is accurate it stated he was with a non certified individual...if he was on a diving boat cruise to Racha Yai I wonder what dive shop?? he was with. Non-certified can also mean the guide did not have the Thai tourguide license. I don't know exactly what happened, but reaching conclusions based an articles like these is quite often incorrect. According to the original article he was diving from Racha Yai BTW, so not on a cruise to Racha Yai. Off topic, trollish post removed. It seems unlikely that the try diver would suffer DCS if they only went to 10m. “This try drive was to a depth of about 10 metres led by a non-certified and non-experienced male guide." 1. The greatest danger for gas related illnesses is near the surface. The expansion of any gas in your body rises exponentially the closer you get to the surface. 2. "Non-experienced male guide." Nuff said. There was no instructor/dive master, story says dive lead by unqualified local guy. I am a Master Scuba Diver Trainer. I do have some idea about training divers. Sounds like none of these experienced 'experts' have spotted or commented on the obvious. A 'decompression sickness' (DSC) can occur in as little as 10 meters of water if the diver holds their breath whilst ascending. Air Embolism (a burst lung in simple parlay) is also classified as a DCS and is the most likely cause of this incident. It's one of the biggest risks during early training which is why the 'never hold your breath' rule should be hammered into all trainees.